The whole family treats people like dirt. 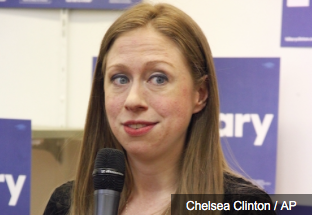 A close aide to Bill and Hillary Clinton referred to their daughter Chelsea as a backstabber and added that the “apple doesn’t fall far,” hacked emails released by WikiLeaks show. Doug Band, who helped create the Clinton Global Initiative, received an email from Chelsea Clinton on January 27, 2012, passing on praise that she had received dealing with CGI.